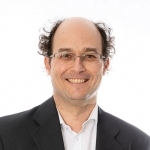 A Consultant in Pain Medicine, Dr Christopher Jenner MB BS, FRCA FFPMRCA has expertise in treating a variety of painful conditions. 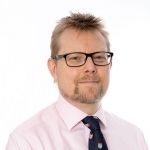 As a leader in his field, Dr Jenner is well-known as an experienced and skilled expert witness in a wide range of medicolegal cases involving pain. He has been an expert for 15 years and his instructions are broadly divided as claimant (55%), defendant (40%) Single Joint Expert (5%). He provides reports for both medical negligence and personal injury claims. He has presented numerous lectures on medicolegal issues and has extensive training in this area. He has substantial experience in medicolegal report writing – for example for patients suffering from whiplash injuries, lower back pain or other peripheral neuropathic pains. 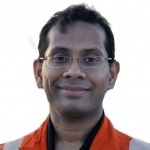 Since 2001 he has been practicing at Imperial College NHS Trust as a Consultant at St Mary’s in Paddington, London and is an Honorary Clinical Lecturer for the Trust. He currently has a Pain Clinic at Charing Cross Hospital in London. Dr Jenner founded The London Pain Clinic in Harley Street London W1, where he is Clinical Director and he also runs a clinic for private procedures at The Weymouth Street Hospital, London. Dr Jenner earned his medical degree at London Hospital Medical College, qualifying in 1995. 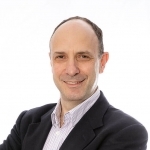 Since then he has held a number of key posts throughout London specialising in pain management. He has practiced at St Bartholomew’s, The Royal London and St Mary’s Hospitals. Committed to continuing professional excellence, he regularly attends lectures and conferences to keep his industry knowledge up to date.A dedicated and compassionate Consultant, Dr Jenner has the knowledge and expertise to treat and provide expert opinion and evidence on even the most obscure of pain conditions. 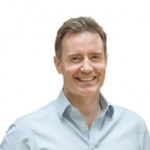 He is a published author of several books and was recognised in Tatler’s Guide of Britain’s top 250 Consultants in 2013 selected as one of the most experienced leaders in the Pain Specialist category. Dr Jenner is a keen cyclist and enjoys spending his free time with his three sons.